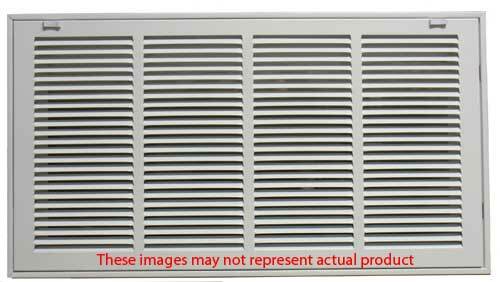 20 X 24 White Steel Return Air Filter Grill Discounts Apply ! Purchase a return filter grille such as this one for hvac air filtration. Installing a return filter grille for hvac air filtration can help keep circulated dust to a minimum in any residential or commercial setting. This return filter grille uses a standard 1" thick filter in its frame, which easily opens on a hinge for quick filter replacement. Installs easily into 20 x 24 duct holes in sidewalls or ceilings. This return filter grille is constructed of stamped steel, finished with a bright white paint and sealed with clear lacquer for product longevity. Please note that this return filter grille does not come with a filter - this must be purchased separately from the frame itself. Need a filter for your return air filter grill? Check out our reusable air filters.